The film magazine Les saisons [Seasons] brings together filmmakers for whom writings is not only a sealed archive but a path to the very experience of cinema as what lies in secret within it. Creating « Les saisons » is about re-reading this intimate, torn apart story of film writing and the diversity of its designs. Unveil its intermittent as well as unlimited character. 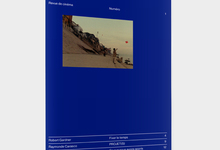 « Les saisons » transport the reader to where texts were born, to that threshold and centre of gravity where the film totals. It is the colorful forces of the written word, a minority reference, a discreet part of the film and the camera’s otherness, that will allow « Les saisons » to see between or behind images in an unprecedented projection of their writing. This film magazine will be their sharing, the projection of the underground of the written word into the image, the writing of the film as a practice and as a life form for cinema. 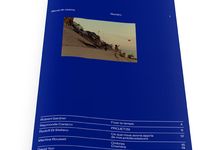 The film magazine Les saisons publishes filmmakers : Robert Gardner, Rudolf di Stefano, Raymonde Carasco, Martine Rousset, David Yon, Soufiane Adel, Nathalie Nambot et Gérard Courant. Robert Gardner, Rudolf di Stefano, Raymonde Carasco, Martine Rousset, David Yon, Soufiane Adel, Nathalie Nambot, Ge?rard Courant.